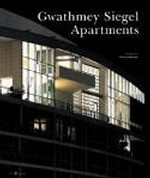 Аннотация к книге "Gwathmey Siegel"
Gwathmey Siegel has long been the architect of choice for clients who want to combine extravagance with an intellectually rigorous, well-crafted modernism. While the houses for which they are so justly renowned often exceed 20,000 square feet, the apartments they have designed are frequently one-tenth that size. The work, however, does not suffer from this reduction in scale, it rather takes on a stunning intensity - as if the ideas encompassed in the bigger houses are in the apartments compressed into tight, concentrated forms. The seventeen apartments featured in this monograph document the evolution of the firm`s design ethos over thirty years of practice from a minimalist modernism to what has sometimes been described as baroque modernism.